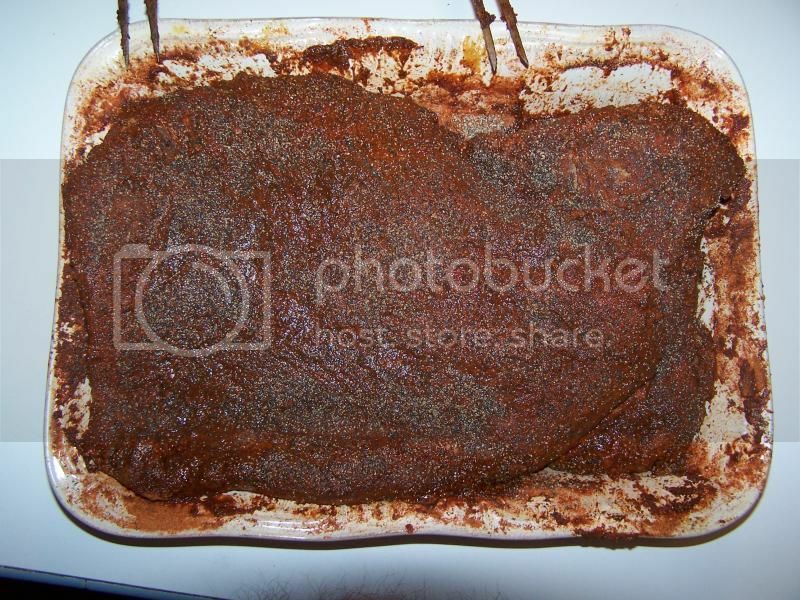 I've been Smoking meats for years, but have never really tried to do a Brisket. I may have years ago, but I don't think it turned out very good, so I just forgot about it and went on too other things. This time was going to be different! I picked up a 12.75lb Packer, trimmed it up nicely, smothered with Honey Mustard, and then gave it a liberal dusting of Sucklebusters Comp Rub, with an added liberal dusting of coarse Black Pepper. I let it ferment over night. I lit the Smoker at 0430 in anticipation of a long day of smoking, and put the Brisket on, fat cap up at 0530. I figured the cold weather was going to extend my cook time some, but was I ever wrong! I was maintaining a consistent temp of between 275-300 on my pit. 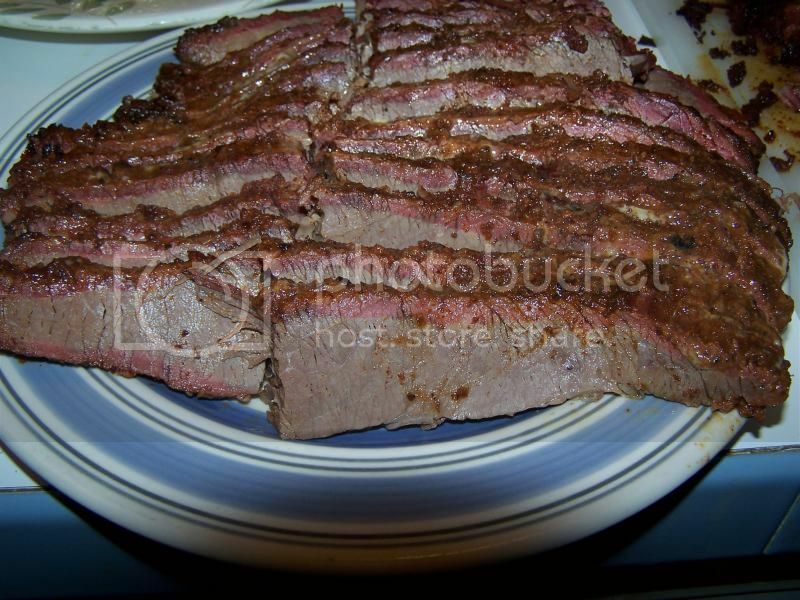 At 0720, I turned the brisket fat cap down, and figured everything was looking really good. I checked it again at around 0915, and it looked like things were happening faster than anticipated, so I checked her temp. Boy was I surprised to see an internal temp of 160. I pulled it out, and wrapped her up in foil, then put back on to finish. At 1100 I decided to take a look to see how things were going, and when I opened the foil, things looked like she may have been done. I did the poke test, and sure enough, it was like sticking a hot knife into butter. Pulled her off, and allowed to rest for an hour. I took the point, and made shredded out of it, and then wrapped up the flat for dinner later this evening, along with a side of Baby Backs. Here is the finished product. 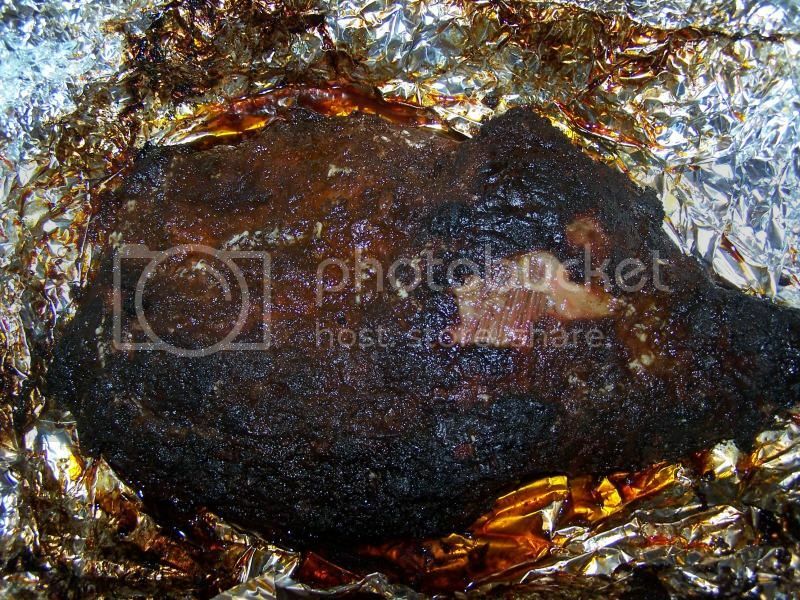 This was the best Brisket I've ever eaten! 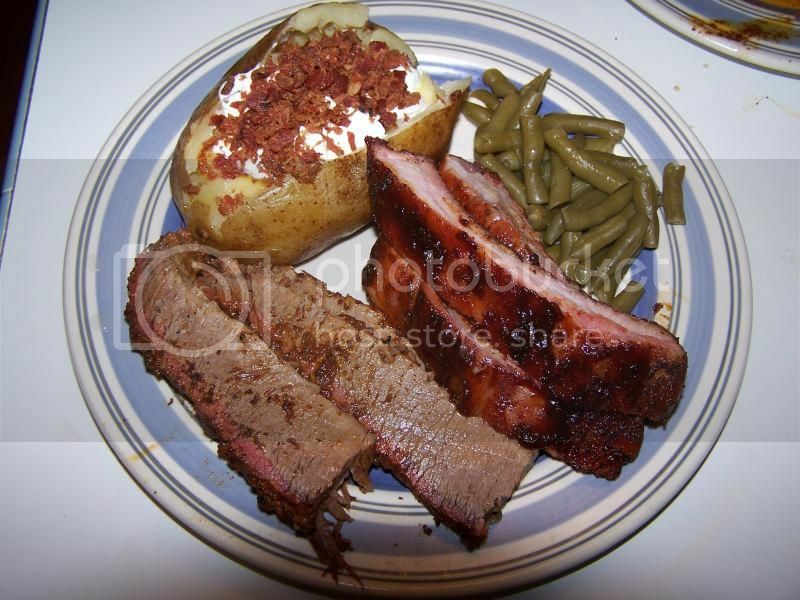 Perfect tenderness, moisture, and smoke flavor. Oh my dang!! You did what with the point? 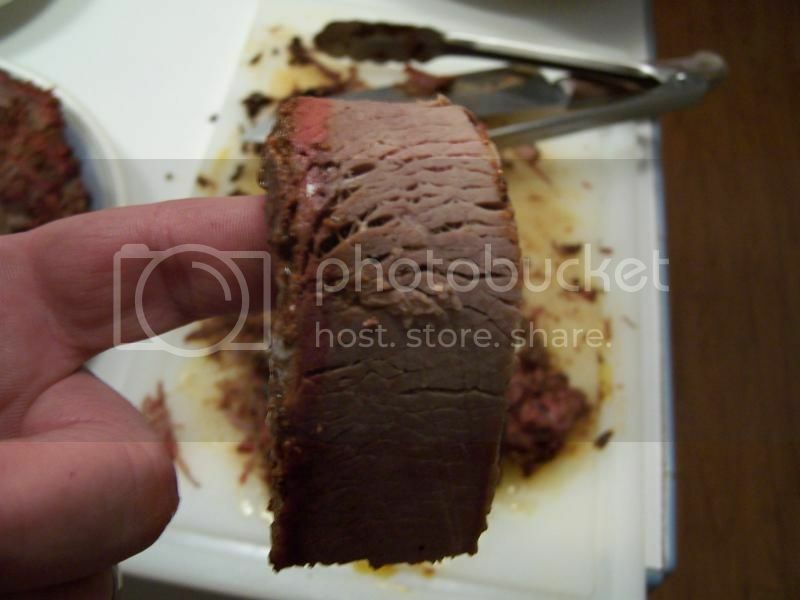 Man that is the best part of the brisket! at my house, we slice the point and I find something else to do with the flat. Wifey wanted some chopped Brisket samiches, on flat bread! I was just giving ya a hard time. I just started eating sliced point a year ago when they offered it to me at Hutchins. I've been addicted since. Hmmm, so what time should we be there for dinner ? ?